With Tonka Tinys, all of your favourite Tonka vehicles are now available in miniature! This exciting new line from Tonka offers all of their iconic rescue, construction, and urban vehicles in awesome tiny versions. 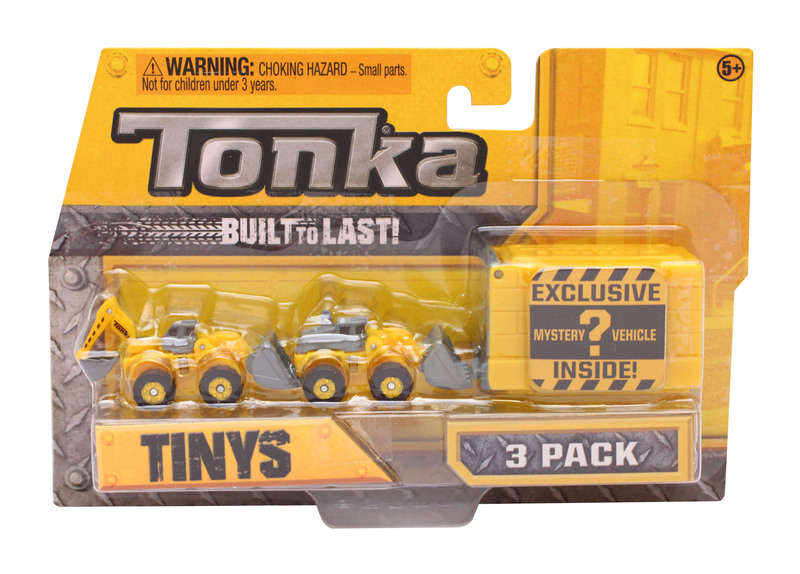 The Tinys 3 Packs come with 2 known vehicles plus 1 mystery vehicle in its own Tonka Tinys Garage! Every free-wheeling Tiny is crafted with attention to detail and looks just like the real thing! Appropriate for ages 5 years and up. Collect them all!! For 1 Player, Aged 5+.